A pimple is formed due to excess oil getting trapped in the pores. Some of the varieties are pustules or papules. Pimples can be treated by various home remedies, ayurveda, acne medications prescribed by a physician, or purchased at a pharmacy with a wide variety of treatments. How pimple is formed? Inside the skin pore are sebaceous glands which produce sebum. When the outer layers of skin shed (as they do continuously), the dead skin cells left behind may become ‘glued’ together by the sebum. This causes the blockage in the pore, especially when the skin becomes thicker at puberty. The sebaceous glands produce more sebum which builds up behind the blockage, and this sebum harbours various bacteria including the species Propionibacterium acnes, causing infection and inflammation. At early age many individuals tend to suffer from pimples and blackheads, these often cause embarrassment, especially if you’re the type of person who is sensitive and care about physical appearance. To file this skin problem you have the option of using natural treatments, among these are some home remedies for pimples and blackheads, they are easy to prepare and not a major cost to your pocket. Pimples and blackheads are infections of the skin, which can be found on the face, back, breasts, buttocks and arms. These are caused by fatty deposits and dead cells found in the skin pores, if they are exposed to air pollution in turn blackheads and inflammation at the same time. Practicing good hygiene, including regularly washing skin areas with neutral cleansers, can reduce the amount of dead skin cells and other external contaminants on the skin that can contribute to the development of pimples. Lemon juice is one of the most popular ways to remove pimples and blackheads in home remedies treatment as it readily available, dilutes with just a little water and you can apply it on the skin where you have pimples and blackheads. 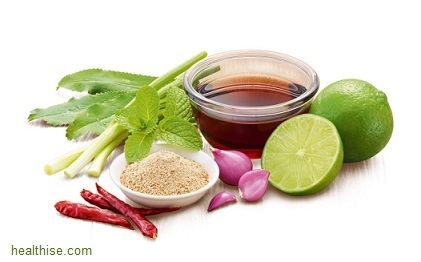 Garlic is another natural home remedy for removing pimples and blackheads. Just half a garlic and apply the mixture in the affected areas. Also, if you eat 3 cloves of garlic daily for three weeks you can cure skin diseases that cause pimples and blackheads as this food purify the blood in the affected area. 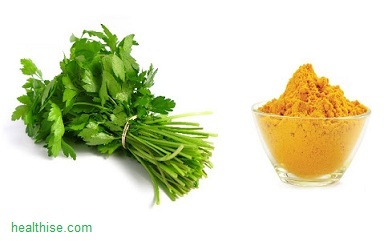 Use the juice of coriander and turmeric powder, all you have to do is mix and apply it in parts of the body where you have pimples and blackheads, with cilantro juice you can also add a little mint to get long term results. Grated cucumber is also one of the best home remedies for pimples and blackheads, you have to apply it to the affected areas and leave on for 20 minutes so that you get an effective result. Make a mixture with honey and cinnamon powder, apply it for 30 minutes every night before going to bed and rinse with warm water, you have to do it regularly to eliminate imperfections. If after 4 weeks the problem persists, try one of the above remedies. If you practice these home remedies for pimples and blackheads, you’ll be able to get rid of these in addition to implement these home remedies have to be careful about the hygiene of the skin, an example of these is that you should avoid touching your pimples and pimples with dirty hands because it can aggravate you over this issue, so wash your hands often. Serious Skin Care – One For Every Type Of Skin.